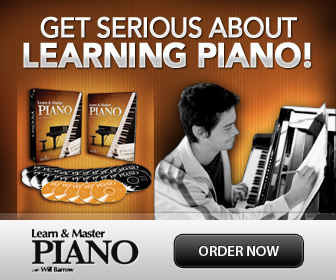 Want to learn piano theory? Here are many free lessons in basic music theory from beginner to more advanced. Learning about music theory will not only help you understand written music better, but also to learn and appreciate how music is created. Learning Music Theory Will Deepen Your Understanding of Music. Music theory is the knowledge about how music is constructed. Piano theory is music theory learned while referring to a piano keyboard. The piano keyboard is a great tool to use when learning basic music theory. 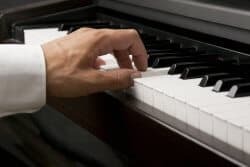 Because of the layout of the piano keys, patterns of notes, scales, chords and intervals are a lot easier to actually see, compared to other instruments. Make sure to print out some free printable staff paper before you begin! 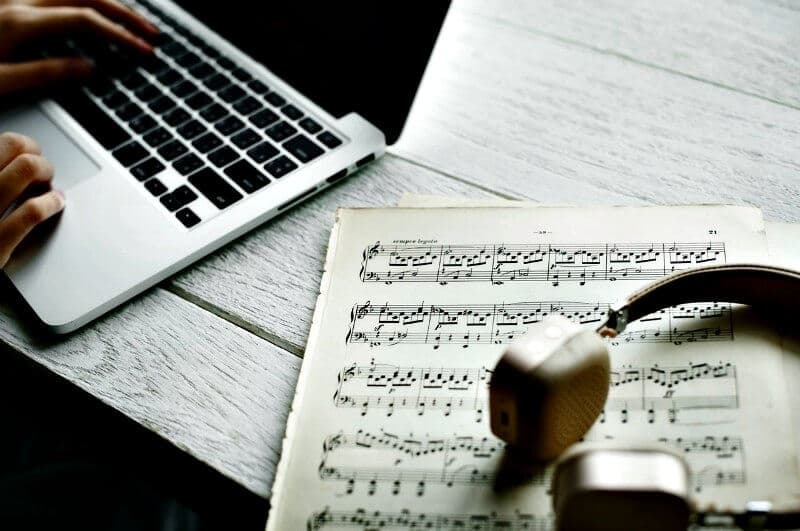 Sharpen your pencil, and practice to write the notes, clefs etc. as you learn about them. This will make all you learn easier to remember. 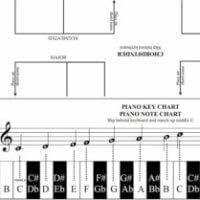 Learn the basic stuff of piano theory, like note names, the staff, note values etc. Learn more about different note values and rests, their names and how to count. What is it that gives a musical scale its special "sound color"? This introduction to scales will take a look at what scales are made from and some of the types that can be found in different parts of the world. Find out how to combine the notes to create different scales; major scales, minor scales, blues, modal and more! 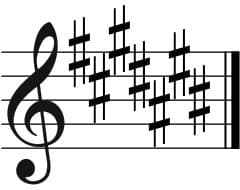 Intervals are the distances between notes. Learning how to identify intervals, helps you to quickly read notes, among other things! This is a super tool for understanding key signatures and more, invented by Pythagoras in the 6th Century B.C!! All those symbols in the beginning of a staff, what are they? The sharps # or flats b, clustered in the first measure are called the Key Signature. Learn more here. Print your favorite. 8 or 10 staff, wide staff or grand staff paper as PDF's. Helpful tool for beginner pianists. 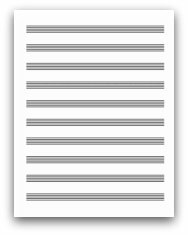 Print out a keyboard, with or without note names. Use for keyboard orientation, games etc. Why are the keys in the order they are, and why are they in the particular layout of black and white keys? Read more here. Here is a handy-dandy tool for beginner pianists. Print out this free Pdf, fold and place behind the keys to remember the note names on the keys. On the back is a simple chart to help you find the most basic chords on the piano. It may seem like music theory is really difficult... But understanding how music is built is actually both logic and simple, if you only know where to begin! Music theory is the study of how music works. It's learning more about the different building blocks that makes up music. Here you can dig deeper with free piano theory lessons starting from scratch. The focus is on making the knowledge of music as accessible and simple to understand as possible. Learning about how music notes are written in a score. To learn musical symbols and all those little markings in sheet music. Learning the construction of chords and scales. Deepen the understanding of the elements or building blocks of music. Getting some basic tools to get started to actually write a song or compose your own music. 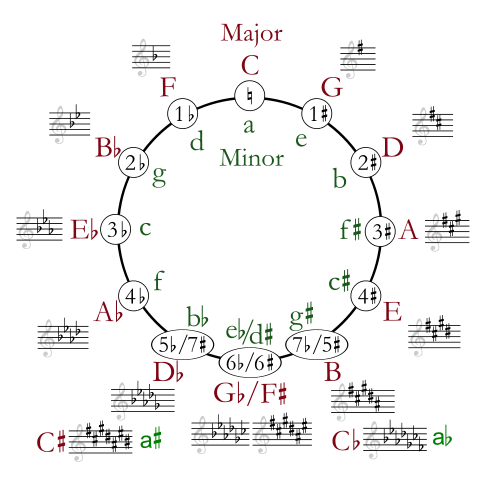 Knowing more about the theory of music is a real help for any musician, beginner or not. Thought learning theory is for nerds and geeks and cramps your style? Here are the top 10 myths about learning the theory of music! Up for some adventure? When digging deeper into music theory you may discover some interesting and mysterious things...! Need Music Theory Help? Ask Your Question Here! Do you need help to understand music theory better? Do you have questions, comments, or need help with a specific music theory difficulty? Share your question and you may help others with the same problem! You can stay anonymous or leave a name, this is optional.